This conference included a full day of lectures plus a full day fieldtrip. You can find details of the various activities here, as well as a range of photos. 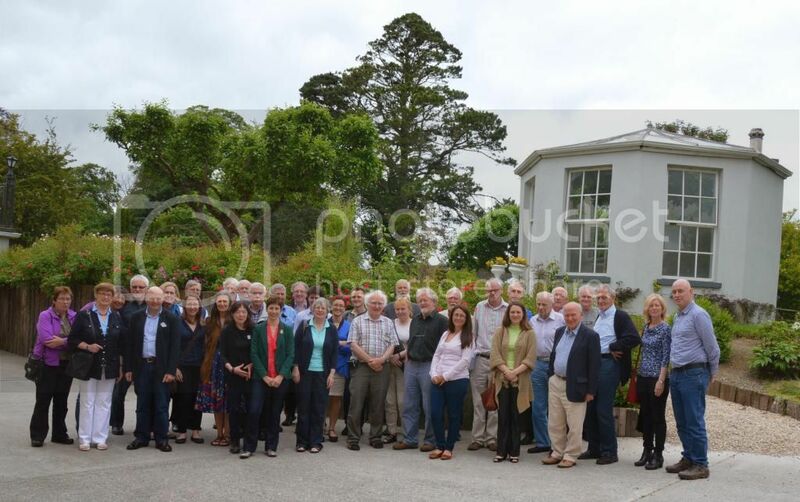 The Agricultural History Society of Ireland (AHSI) held its annual summer conference last weekend 14 and 15 June in Birr, Co. Offaly. The subject was ‘Cattle in Ireland: beef, bulls, butchers and biodiversity’ and 19 speakers covered various aspects of this theme on Saturday in the County Arms Hotel. In addition a poster session was held and each contributor was given the opportunity to talk about their poster. The lectures were very entertaining and informative covered something for everyone. The AHSI chairperson Michael O’Connell opened the conference. The first session was chaired by Fiona Beglane (webmaster for AHSI). Finbar McCormick spoke about the ritual aspect that most likely is associated with prehistoric slaughtering practises considering the large quantities of meat produced. He showed possible modern parallels to a particular prehistoric site in Kilshane Co. Meath that produced large quantities of carefully placed bones. In fact animal remains from this site featured in research presented in a poster by Thomas Kador later in the day. Karen Molloy and Michael O’Connell talked about the possibility of recognizing early pastoral farming through pollen analysis, especially the presence of herbs such as plantain (Plantago lanceolata) but also inferences about the openness of the landscape through time based on the number of taxa found. In the past, human activity resulted in increased biodiversity. Karen discussed the pollen diagram from Ballinphuil Bog with vegetation changes through time. In general pollen curves from Norman times onwards have a strong representation of plantain in the landscape and the pollen diagrams reflect a landscape that is significantly different from earlier times. Dan Bradley introduced the future with ancient DNA research that only now is beginning to show result thanks to powerful computers. The best bone to use is the ear bone, and interesting enough the next best source is parchment (from Medieval times). Bones from ditches in general are not very suitable for this type of research as they tend to be less well preserved. Dan showed that different lines could be traced using mitochondrial DNA with Bos taurus and B. indicus having influences from what must have been a wild European ox that is now extinct. He also alluded to the genetic links of Őtzi, the Iceman, with present-day Sardinian populations. Session 2 was chaired by Jonathan Bell and considered cattle in Irish contexts. Seamus Caulfield talked about his wonderful site in Céide Fields and wider surroundings. Three decades on and yes, he has modified and further developed his ideas regarding the field system and how the landscape was organised with a view to managing a cattle-based economy. Moreover he suggested a possibility that the landscape in Mayo could have been cleared of woodland by some reason (not necessarily man-made) to allow the organisation to happen. This leaves room for future debates and searching for parallels that Seamus thinks must be there as Céide Fields cannot be unique in his view. Also Seamus suggested that the walled system would be better for a dairy rather than a beef economy. Fergus Kelly had practical notes prepared on Irish legal aspects in the 6/7th century. He too indicated the emphasis on milk, and not flesh/meat in the references. Besides cattle, pig and deer were also mentioned. The importance of cattle was reflected in the complicated texts where disagreements occurred such as who owned a calf that was born in someone’s field. Defects of cows ranged from being blind in one eye to a cow hostile to a bull, kicking, or prone to bowling. Interesting Fergus mentioned various colours of the cattle, with black being the usual colour and a format that seemed to be slightly larger than the modern Kerry cow. Lastly he pointed out that cattle were moved considerable distances often through raiding practises. The last lecture before lunch was given by Fiona Beglane and Rita Mhig Fhionnghaile. Fiona highlighted the importance for retention of animal bone samples from archaeological sites by the National Museum of Ireland for reference purposes. The reason why was explained by Fiona, such as looking for migration patterns of humans that moved the animals, changes in animal husbandry through times and also changes seen in the times from early medieval through post medieval. Dairy and meat based system lead to different characteristic of the animals viz. their bones. Research by Rita focuses on intensive measurements (geometric morphometrics) of metatarsals of two recent cattle breeds the Hungarian Gray and the Charolais. The measurements enable 3D laser-based models of the metatarsals to be made. The measurements can answer questions relating to shape and size differences, age effects and possible allometric variations. This may help in the future to interpret historic assemblages found in archaeological digs. Their attention, after the baseline studies have finished, will especially focus on measurements on Medieval and Post-Medieval bones. 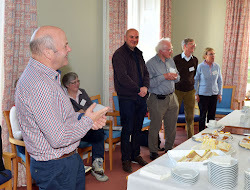 At lunchtime the poster session was chaired by Denise Keating (responsible for the AHSI Facebook entry) who presented posters submitted by Louisa Gidney (Durham University) and John Martin, De Montfort University, Leicester, both of whom had posters but could not attend. Eugene Costello talked about his research into transhumance, from post-medieval Ireland. He explained what booleying is, and his poster included interesting new information about booleying in the Galtee Mountains and South Connemara. Thomas Kador’s subject was the cattle movement in Neolithic Ireland focusing on the site of Kilshane mentioned before. His research uses strontium and oxygen isotope analyses to look for movement and mobility during that time. This type of research is beginning to show very interesting results and is certainly a path to the future. Caitriona Maher presented some of her PhD research on the Shannon callows by way of preparation of the audience for the excursion on Sunday. 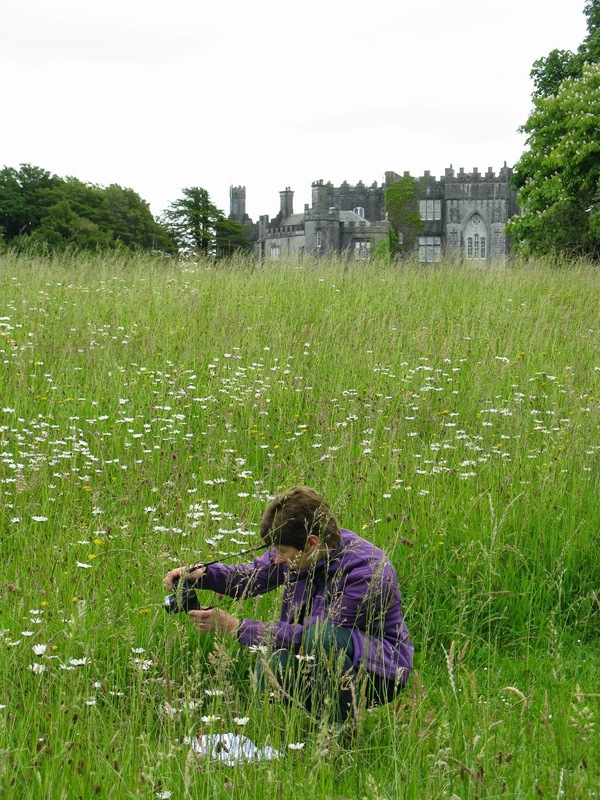 The work of Caitriona and colleagues focuses on various flies as they choose their environment in various grasslands and floodplains. The duration of the wet period is the most Important, followed by nutritional aspects often in connection to farming activities. On top of that increased flooding periods due to general changes in climate leave their influences in the vegetation and dependant insect life as well. The first session after lunch (Session 3) was chaired by Liam Downey. The attention shifted to more historical periods. Theresa McDonald is well known for her work on transhumance on Achill Island, and she just finished her PhD on the subject. The transhumance on Achill differs from other seasonal movements such as in the Alps and the Mediterranean region. Essentially small family groups move around between summer and winter times. In summer small houses in the uplands are used, and little extra fodder is given to the animals. The houses are ovoid or oval and may have associated subterranean terraces, and are topped with heather scraw. Theresa noted the number of booley villages and permanent villages in the Civil Parish of Achill. Some booley houses and villages did become permanent settlements later on. As dairy cattle cannot travel over long distances, the situation in Achill with regards to the distance from a permanent dwelling to booley was and is not great. Theresa also mentioned illnesses as an important reason to move, whether for water, mineral deficiencies or infection. Jim McAdam gave an excellent overview of grassland research in Northern Ireland since the 1940s. Apart from some early experimental trials and the start of certification of some pedigree ryegrass strains, not much innovation occurred, disappointingly. Most trials included the use manurial trials, silage testing and seed mixture trials. An important factor was World War II, which had exposed the vulnerability of food supply in the UK due to external factors beyond its control (see also poster by John Martin). During the war, 1/3 of all land was used for crops such as cereals, potatoes and flax. After 1945 there was a complete swing back to grassland. Since then emphasis lie on increased grassland production and also associated livestock changes. After 1980 the number of cattle rose significantly, a factor was certainly joining the EU. Milk yield also increased from 1900 litre in 1925 to 5000 litre in 1995. In later years, farming is in decline. At the moment, the total area of farming in Northern Ireland is still falling. One important aspect that Jim mentioned was the lack of attention given to environmental values. One exception to this was an article from 1940 that concluded rotational grazing of ‘a single species sward may be unattractive to stock’. From animal to product brought the conference to the next theme of the day. Juliana Adelman spoke about the urban context of meat and diseases, in a Victorian city (Dublin), and the approach c. 1849-1880 to diseased meat, and attitudes towards public health. It was very interesting to hear the ideas about in essence sick meat: this was something that looked bad, smelled bad and could have parasites, and most importantly, was derived from sick animals (Juliana focused on beef for this lecture). Two reasons for the increased presence of diseased meat were the cattle plague from 1865, and from 1883 onwards presence of tuberculosis. There was a lot of meat involved, and thus the economy of it all was very important. Juliana gave examples of the challenges of finding out who was responsible and how much and what could be eaten. The poor farmer often pulled the shortest straw, certainly economically, whereas at the other end diseased meat still founds its way to the table. In general diseased meat was seen to be tolerable apart from the sick organ (for example lungs filled with puss), and could rot more easily. Jonathan Bell and Mervyn Watson showed aspects of the slaughtering processes especially in shambles, slaughtering yards in urban centres. One of the largest was the Bandon Shambles in Cork. Slaughtering formerly was not taken away from the public and could also occur in backyards. The talk was describing in detail the complex processes and many frauds possible in the slaughtering process. It must have been very intimidating to present your animals for slaughtering! It cannot have been easy at all for the farmer. Weighing of animals was very important, and a scales formula was used. Later the slaughtering process was taken away from the people and abattoirs (an idea developed in France) were established. Traditional cows with dual purpose had more fat and massive legs, whereas improved cattle from England produced more meat on thinner legs with less fat. The drawback of less fat is that the meat is less hardy. At present there is a small revival in the use of Kerry Cattle, which thrive better on poorer grass. Session 4 was chaired by Brendan Riordan. Jack McCarthy, master butcher from Kanturk, Co. Cork introduced us to the skills of being a butcher and the many aspects involved in the profession. The process takes time and requires much expertise. Meat needs to be dried and cured sometimes for many days to obtain the best properties. His work with Regina Sexton involves reconstructing meat products from old recipes. Jack produced a box with some of his fine work, with the sausages left on the table to enjoy. Regina Sexton followed with an introduction to beef recipes in the Townley Hall papers. She mentioned that in recipes from Ms Jane Bury, from the 1700s, and lady Florence Balfour from the late 18th/early 19th century, beef ingredients were minor. Beef recipes used mostly offal products. Best cuts, fillet and sirloin were hardly mentioned. Instead there were recipes relating to pott tongues, Scots collips, a calves foot pie, oyster sausages, neates foot pudding, hash of calf’s head and how to make polonia sausages. Often beef was used in broth, in ragouts and fricassee. Flavouring was important and used anchovies, cinnamon, cloves, pepper, white wine, claret and sac. Beef mostly functioned as part of puddings and pies, which are icons of British cooking with national identity. There are only few made dishes with beef (2nd courses) that involve more steps and more thought in preparing. The polonia sausage was mentioned as a cured and smoked sausage with a characteristic red colour produced by saltpeter and red wine. Regina worked with Jack McCarthy testing the recipe, which she still wants to improve. Later during the conference delegates could taste this product. Session 5 was chaired by Fergus Kelly. Jim Collins talked about the importance of minerals and trace elements for cattle that ultimately are derived from soils and underlying bedrocks. He showed the simplified geology of Ireland with the various bedrocks that all influence fertility, drainage, porosity etcetera. Ireland has a long period of grass growth in general, with lush pastures in many areas and often possibilities of out-wintering. Altitude and very wet areas restrict usage in some areas, as well as the availability of minerals. This needs to be corrected by addition of various minerals by farmers. Generally soils in Ireland are seen as chronologically young and podsolized, generally brown or grey in colour and often with a tendency to gley. Due to the long grass growing season, grazing is possible during 10 months of the year and, indeed, in some years, all year round. Helen Sheridan presented her SmartGrass project that looks from agronomic perspective to find best seed mixtures. Her research also involves environmental and management aspects. Grasses are mainly wind pollinated with 135 species found in Ireland. Ireland has comparatively large area given to agriculture, with 61% against elsewhere 50%. In Ireland 4.5 million ha is given to agriculture with the majority 81% to grass, pasture, hay and sileage where grazing by animals/livestock is involved. In the past grasslands were species-rich. At present it is much more monotonous dominated by one single grass species, ryegrass (Lolium perenne) that has been the main focus of research and publications since the 20th century and forms 95% of all grass seed sales. Most indigenous grasses and herbs cannot compete with this, and the result is lower biodiversity and monotonous grasslands. Importantly, there are direct health concerns associated with this fact for the animals, due to the limited diet, low levels of fibre and high levels of easily digestible sugars. The latter could lead to acute illness and diseases such as rumen acidosis, laminitis and it is questionable whether the diet has the ability to provide the necessary macro- and micronutrients. Scour and infertility may also be linked to inadequate food. Moreover, ryegrass needs much nitrogen for its vigorous growth and this has financial implications as fertilizer costs are significant. Can these costs be reduced? The SmartGrass project Helen discussed aims to research this and already there seem to be indications that there are certain important variables. The project looks at agronomic attributes (yield), biodiversity and economic attributes, and uses a mixture of grasses, legumes (clover, trefoil) and herbs (yarrow, chicory, ribwort plantain), that in part through natural means bring nitrogen back into the soil. Ingelise Stuijts closed the conference by summarizing the paper and poster sessions, and thanking all for their contributions and inviting all to join in the excursion on Sunday. After a long day of lectures, discussions and general conviviality continued over a well-attended and most enjoyable conference dinner in the County Arms Hotel. Late in the evening, singing by the strong Northern Ireland contingent provided free entertainment and further lifted the spirits, if, indeed, that were needed. An early start on Sunday saw the group set off from the Hotel by bus under the most capable leadership of John Feehan and Caitriona Maher. John, as the local and indeed international expert, took the group to see some wonderful examples of species-rich meadows and pasture in the grounds of Birr Castle (in the shadow of the ‘Giant Telescope’) and on esker ridges between Birr and Clonmacnoise. Caitriona, who has recently completed a PhD on the Shannon callows, imparted a great impression of the extensiveness, and indeed uniqueness, of the callows in the mid-Shannon basin. We experienced, within sight of the ancient monastic settlement of Clonmacnoise, the richness of the flora and fauna of the callow meadows, and the traditional management systems still practised by the local farmers and which is vital for maintenance of high biodiversity. The corncrake and the wader populations are particularly healthy this season but the corncrake did not perform for us! Much more time is needed to experience these exceptional habitats and the local waterways. Our thanks too to Michael Martyn who provided information on the esker grassland restoration programme at Glaster and to the local landowners who kindly facilitated entry onto their lands. We are particularly indebted to the Earl and Countess of Rosse who facilitated our visit to the grounds of Birr Castle and generously gave of their time, and to Pádraig Moran who was most helpful at Glaster. At the end of the excursion, our guides, J. Feehan and C. Maher, were presented with Waders by D. Cabot and Vegetation of Britain and Ireland by M. Proctor (recent books in the Collins New Naturalist Library series). And so a memorable weekend in Co. Offaly was brought to an end.